Steam Audio delivers a full-featured audio solution that integrates environment and listener simulation. HRTF significantly improves immersion in VR; physics-based sound propagation completes aural immersion by consistently recreating how sound interacts with the virtual environment. Steam Audio offers an end-to-end spatial audio solution. Steam Audio automatically captures and computes how sounds interact and travel through the environment. 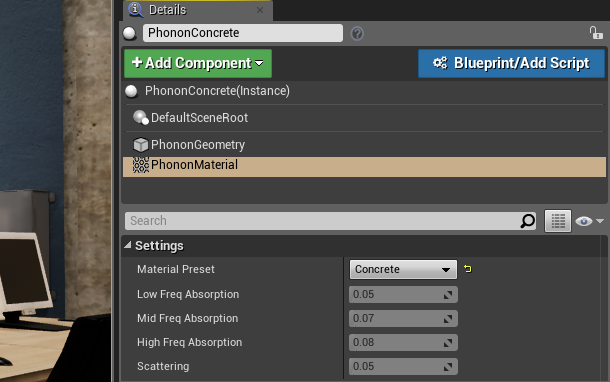 Intuitive controls let you use existing scene geometry to occlude and reflect sounds. Rotational and positional tracking, low-latency physics-based audio, and supporting a wide range of hardware to create immersive VR. HRTF-based binaural rendering that minimizes frequency coloration while providing accurate localization cues. Low-latency 3D audio for hundreds of sources, even on mobile. Experience physics-based sound propagation on a wide range of hardware. Render physics-based audio into first or higher order Ambisonics. Spatialize Ambisonics audio using HRTF. Calculate physics-based sound propagation at design time to reduce runtime overhead and improve quality for static scenes. Integrated with the leading game engines and industry-standard audio middleware, and supports multiple platforms. We look forward to your feedback upon trying Steam Audio and our development tools, now in Beta. Today we are excited to announce the first beta release of Steam Audio for Unreal Engine 4. Our plugin now ships with UE4 by default, so you can get started by upgrading to 4.16 Preview 2. This release brings our physically-based sound propagation and HRTF rendering to the UE4 engine, enabling developers to immediately begin creating immersive audio experiences for games and VR. The plugin is free of charge and is not locked to a particular platform or VR device. Users can get started by upgrading to 4.16 Preview 2, then grabbing the documentation from our downloads page[valvesoftware.github.io]. The plugin is designed to work with the new audio engine introduced in 4.16. Starting UE4 with the -audiomixer flag will enable the new engine and give you access to the plugin. The first release is experimental and will benefit greatly from your feedback in the discussion forums. You can explore existing issues and report new ones over at our GitHub issues page[github.com]. We expect to fix major issues as they arise and provide timely bug fixes as we progress through the beta. Many of the features we’ve built for the new audio engine together with Epic will be broadly helpful to all third party developers. We encourage developers to explore the plugin’s source code to see the new capabilities exposed by the native audio engine. 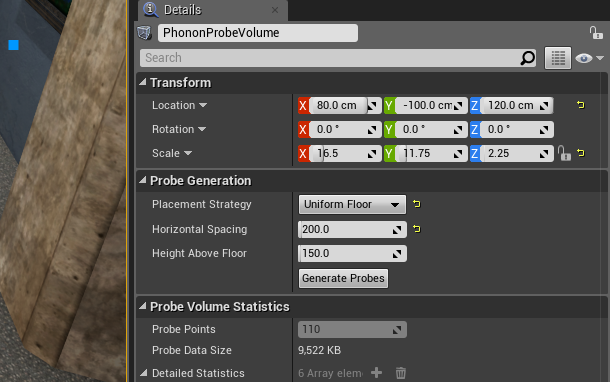 The Steam Audio plugin for UE4 provides three major pieces of functionality: HRTF filtering with per-source settings, direct-sound occlusion, and physically-based sound propagation. Two years ago, UE4 introduced support for third party HRTF spatialization. In 4.16, spatialization plugins can customize the behavior of HRTF processing on a per-source basis. 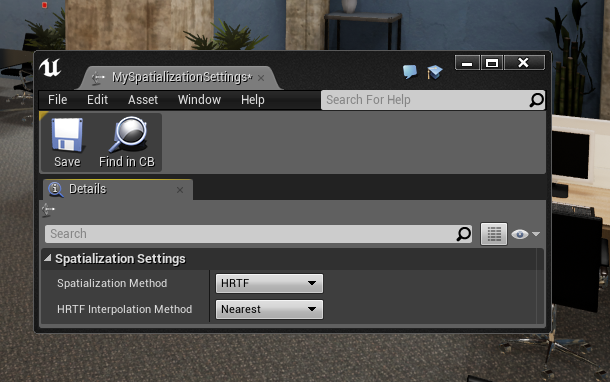 Users configure spatialization plugins with Spatialization Plugin Settings assets. The Steam Audio plugin provides robust HRTF processing and lets users choose between nearest-neighbor and bilinear HRTF interpolation. 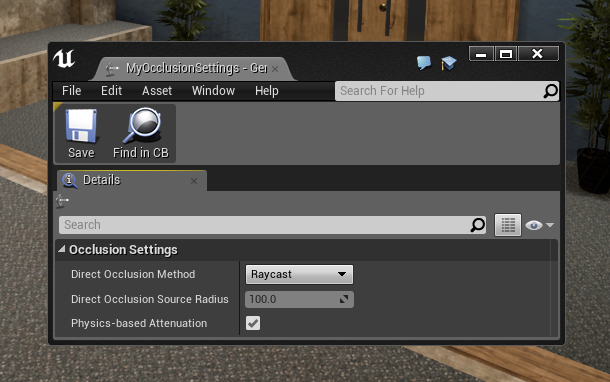 UE4 provides a raycast occlusion solution by default. In 4.16, occlusion plugins can handle how direct sound is occluded on a per-source basis. Users control the processing with Occlusion Plugin Settings assets. The Steam Audio plugin lets users choose between raycast and partial occlusion, and whether to apply physics-based attenuation. 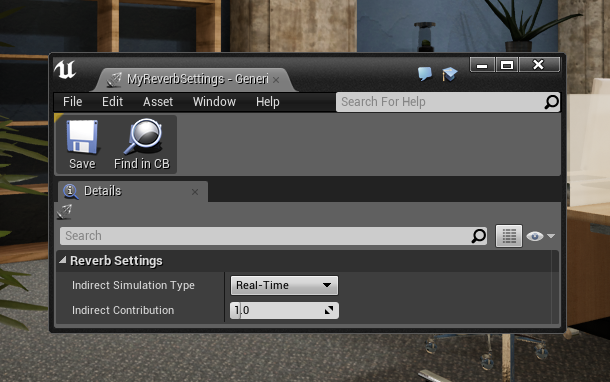 UE4 allows users to author reverbs using traditional reverb volumes. In 4.16, reverb plugins can efficiently apply convolution reverb to mixed audio and customize how reverbs are generated and applied on a per-source basis. Users control the processing with Reverb Plugin Settings assets. The Steam Audio plugin lets users choose between realtime and baked sound propagation and configure a mixing fraction. Steam Audio also allows users to apply a globally-configured listener-centric reverb. This portion of Steam Audio is what many users are going to be most excited about. We’ve introduced a variety of new actors and components that handle tagging acoustically meaningful geometry, specifying acoustic materials, and creating acoustic probes for baking sound propagation data. We’ve extended the UI in ways that should be familiar to UE4 users. In the same way that you use the Build menu to bake lightmap information, you can now find a button for baking listener-centric reverb. Finally, we have a robust set of globally-configurable settings to customize quality and performance.